AWS uses public-key cryptography to secure the login information for your instance. You specify the name of the key pair when you launch your instance, then provide the private key to obtain the administrator password for your Windows instance so you can log in using RDP. 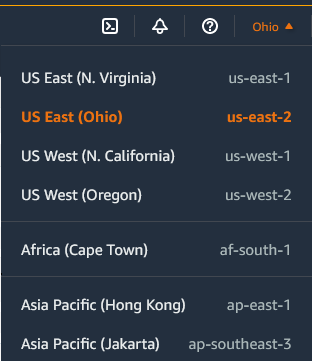 For more information, see Amazon EC2 Key Pairs and Windows Instances. Security groups act as a firewall for associated instances, controlling both inbound and outbound traffic at the instance level. You must add rules to a security group that enable you to connect to your instance from your IP address using RDP. You can also add rules that allow inbound and outbound HTTP and HTTPS access from anywhere. Choose RDP from the Type list. In the Source box, choose My IP to automatically populate the field with the public IPv4 address of your local computer. Alternatively, choose Custom and specify the public IPv4 address of your computer or network in CIDR notation. To specify an individual IP address in CIDR notation, add the routing suffix /32, for example, 203.0.113.25/32. If your company allocates addresses from a range, specify the entire range, such as 203.0.113.0/24. For security reasons, we don't recommend that you allow RDP access from all IPv4 addresses (0.0.0.0/0) to your instance, except for testing purposes and only for a short time. For more information, see Amazon EC2 Security Groups for Windows Instances.